I was flawed by this! Sadly, there is a rise of expectant mums expressing body dissatisfaction during their pregnancy, with social media accounts being so easily accessible for one to compare themselves to others. Google ‘pregnancy fitspiration’ and there is a plethora of images and articles of mums to be doing cross fit until full term, bouncing back to pre-baby weight within weeks of giving birth, and visible abs whilst in your final trimester. 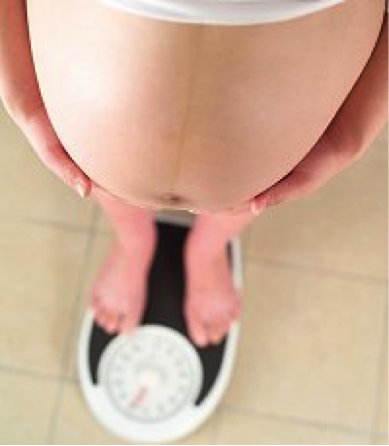 “Pregorexia” – although not considered a medical term – is classified as eating disorder behaviour whilst pregnant. Both mother and child are not getting sufficient nutrients and calories as the mother is far more focused on her weight than her health. Mothers can also put strain on both their body and the baby through overexercising. The risk is that these can lead to miscarriages, complications with birth, premature birth and low birth weight in the baby. Risks later in life for the child can include psychological issues, delayed cognitive development and mood disorders. Most interestingly, research has found that the eating habits of a mother during pregnancy can cause “weight problems” for the child later on in life. The mother’s restriction can cause a famine response in the child, meaning they are more likely to store fat for survival in the womb. What’s fascinating is the influence that yet again, social media plays on women’s body image. Research conducted at Swansea University showed that over half of pregnant women were comparing themselves to these immortal beings on social media. Those who did not have access to social media were found to be more satisfied with their pregnancy body compared to those with social media access (source: courier mail). Fitspiration celeb Emily Skye, who is ranked number three in Forbes top fitness influences and has over 2 million Instagram viewers, has recently announced that she is pregnant and in her second trimester. Emily continues to upload videos of her workouts and has acknowledged that her training has varied now that she is pregnant, however, the showcasing of her still visible abs and tight clothing show a body that is just as unachievable to the pregnant community as her pre-baby body was to those who aren’t pregnant. Celebrities of course contribute to this as well. 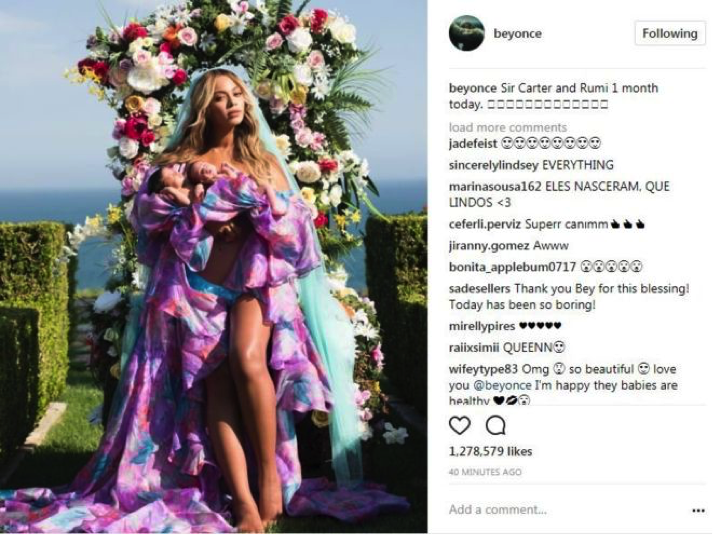 Beyoncé’s recent pregnancy had a series of extravagant announcements both during and after the birth of her twins in which she showcased her pregnant body in minimal clothing. Her post baby body was strategically draped with fabric to show off her stomach, which many ladies, pregnant or not, would find unrealistic to achieve. Actress Jessica Alba has just announced that she was pregnant with her third child. As a celebrity previously known for an eating disorder history, her post baby body routine in the past has included corsetry, which again has implications on the mother and her internal organs. No doubt, she will have many commenting on the progress of her pregnancy in the glossy mags and online forums. “Body dissatisfaction is one of the leading causes of disordered eating and harmful behaviours — so this is definitely problematic… engaging in behaviours to achieve a certain weight or appearance while pregnant can be detrimental to an unborn child… social media photos are edited or filtered so we cannot perceive these as reality or a “benchmark”” – Christine Morgan, CEO of The Butterfly Foundation. It’s critical for those who are going through a pregnancy to understand and remember that no two pregnancies are the same (even when you’re pregnant with baby number two!). Women are going to present with different shapes, sizes, dietary needs and fitness requirements whilst carrying a baby. Rather than focusing on the physical aspects of a pregnancy and comparing one woman with another, provide your girlfriend, sister or wife with words of encouragement during their journey. The happiness of their pregnancy, the excitement of the bond they share with their baby, the support network the baby will have from family and friends – there’s a lot to offer a mother to be that doesn’t relate to their appearance during pregnancy. If you or your loved one have concerns about their eating habits during pregnancy, contact BodyMatters.